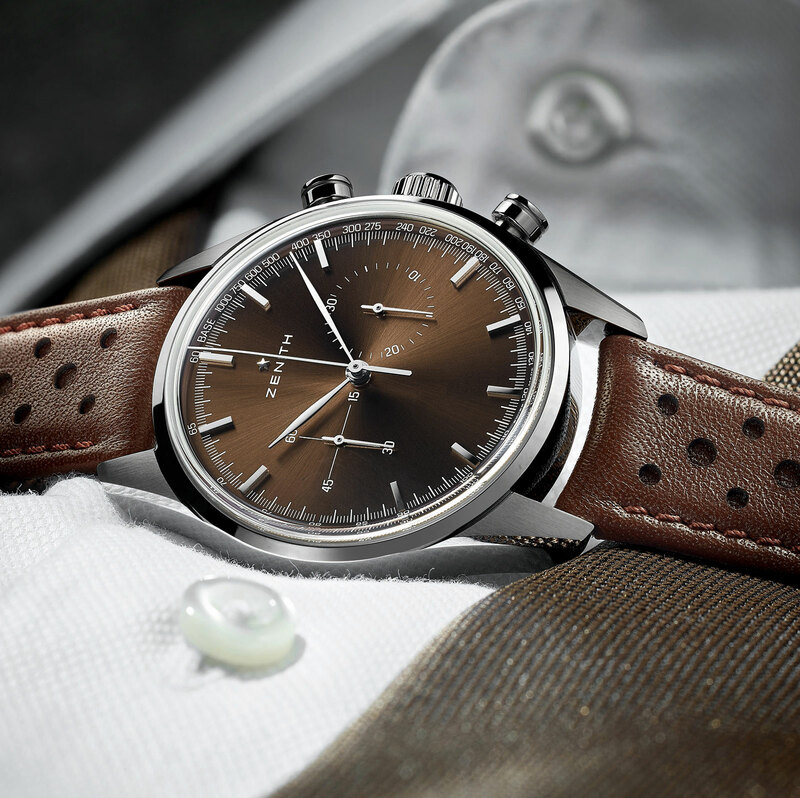 A modestly sized chronograph modelled on a 1960s Zenith. 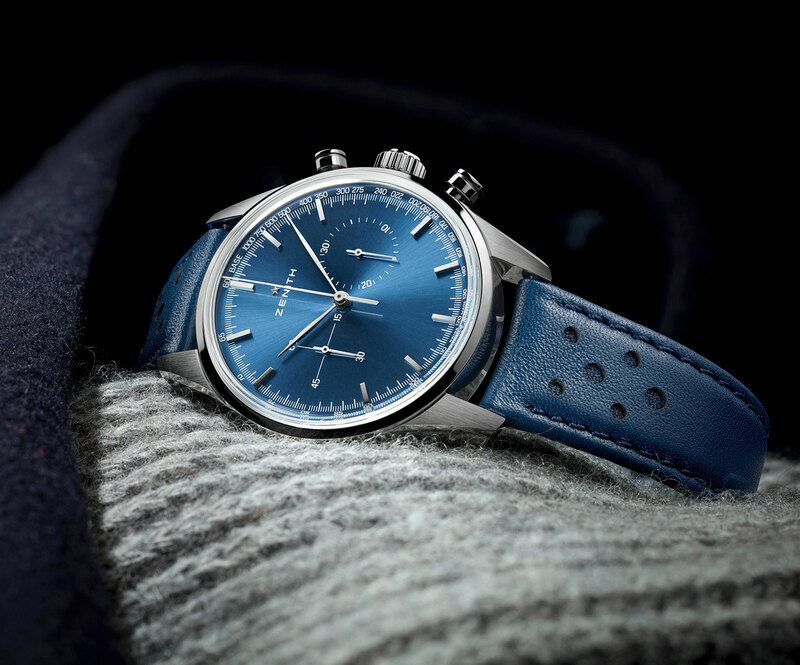 Not an exact remake but rather a nod to history, the Zenith Heritage 146, which is powered by the automatic El Primero, draws on 1960s Zenith chronographs powered by the hand-wound calibre 146D. The baton hour markers and tachymetric scale on the edge of the dial are similar to the 1960s watch, but the leaf-shaped hands and El Primero case are a modern touch, as is the El Primero calibre 4069 inside. 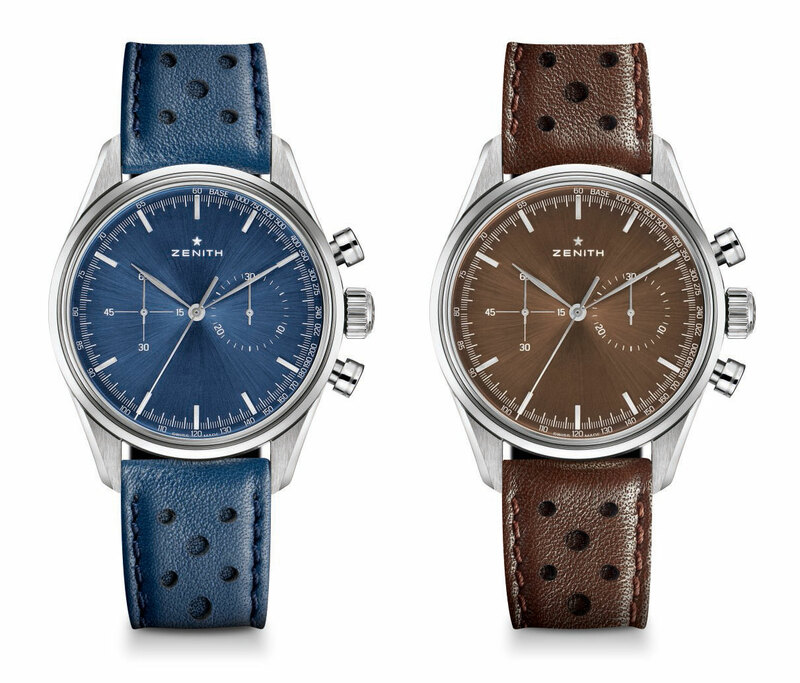 The steel case is 38mm in diameter, larger than the vintage originals it’s based on. While smallish by modern standards, it’s a perfect fit for the design and the size of the movement inside. Notably, the Heritage 146 is near identical, save for the dial colour, sub-dial details and chronometer certification, to the 25-piece limited edition produced for American watch blog Hodinkee in late 2016. That sold out swiftly, explaining Zenith’s rapid introduction of the Heritage 146. Available with a blue (ref.03.2150.4069/51.C805) or brown dial (ref.03.2150.4069/75.C806), the Heritage 146 is priced at SFr6900 or S$10,500, and available at Zenith retailers and boutiques. The watchmaker teams up with Land Rover to mark the birth of the famed luxury SUV.